You can now change the displayed time zone in PhotoMap via the menu icon ‘eye’ to view days, weeks, months, trips etc. as if you were in a different country resp. time zone. This is useful, for example, to view your logged positions of a day in New Zealand after returning to Europe. 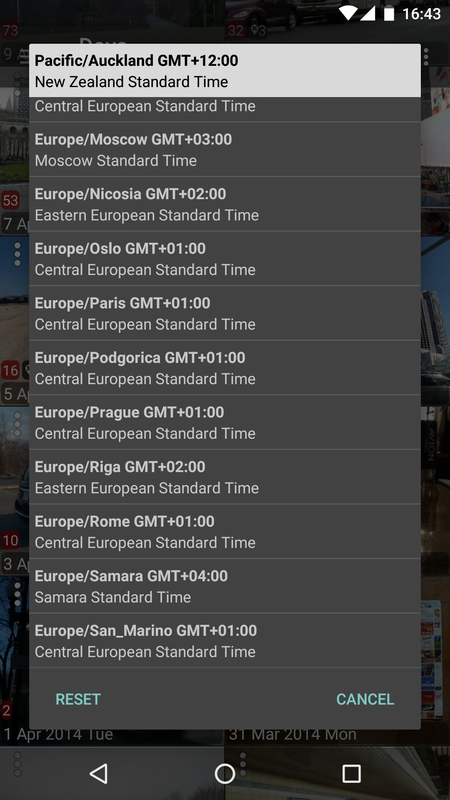 Tap on a time zone in the list to select it. Tap on “Reset” to select the system’s default time zone. 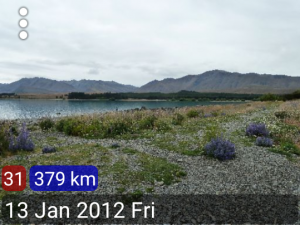 Trip in New Zealand: 316 km if viewed with a “wrong” time zone (MEZ) in Europe. 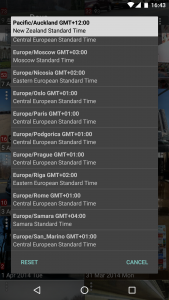 The day in Europe begins/ends 12 hours later compared to New Zealand. 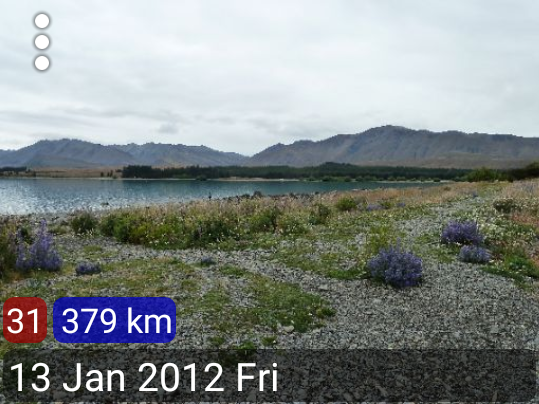 Trip in New Zealand: 379 km when viewed with the right time zone (Pacific/Auckland GMT+12:00). The day in New Zealand begins/ends 12 hours earlier compared to Europe. Previous story Where Do You Spend Your Time?